The Memepunks and Aurelio Voltaire — together again! 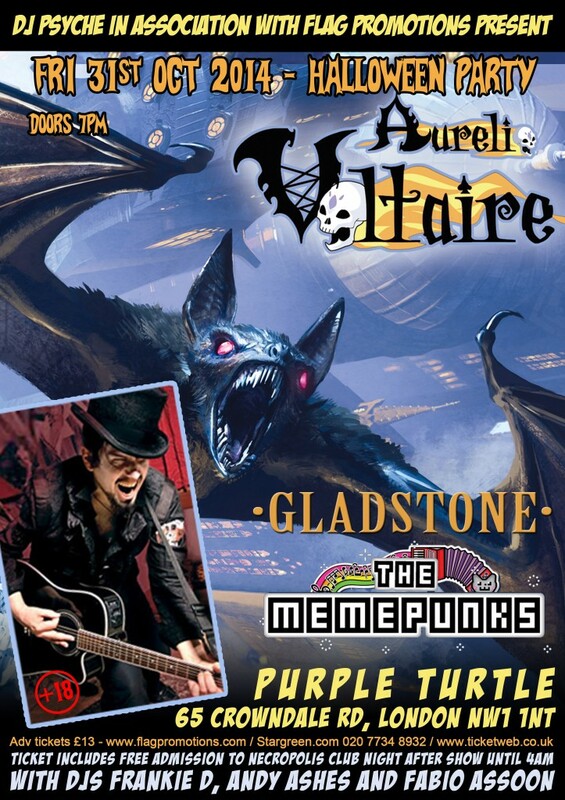 This Halloween, 31st October, join us along with steampunk rockers Gladstone at the Purple Turtle. £13 advance but we have tickets for £10 — find one of us in person or PayPal £10.50 to tickets@memepunks.co.uk!